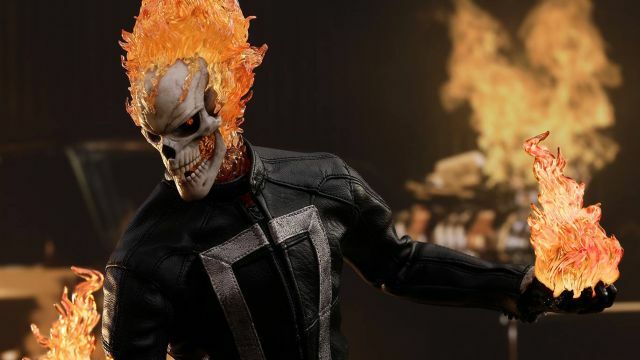 Fan-favorite figure makers Hot Toys has revealed a brand-new addition to their line-up with the Spirit of Vengeance himself, Ghost Rider! The Ghost Rider figure will be a Toy Fair Exclusive item only available in selected markets. Expertly crafted based on the appearance of Ghost Rider, the collectible figure features a newly-sculpted skull with LED light-up function and articulated lower jaw, a fire-shaped hair sculpture and a finely-tailored costume to create impressive likeness. 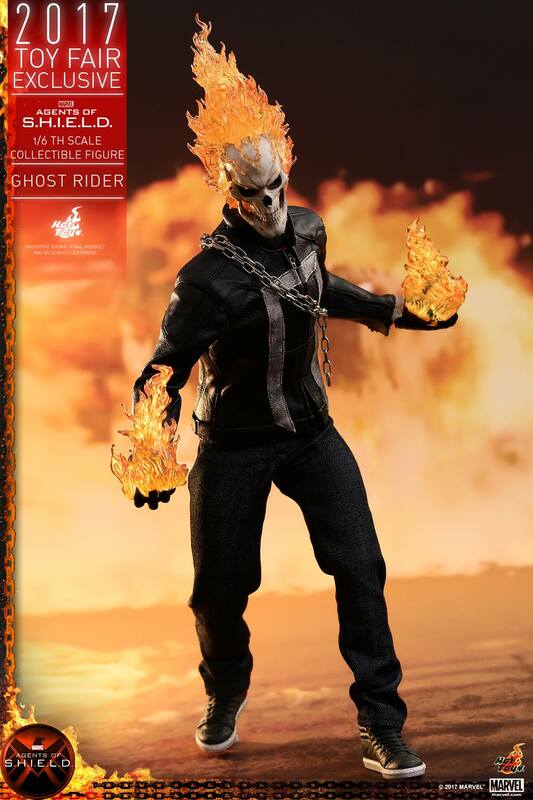 The Ghost Rider figure also comes with two styles of chains and a number of fire effect accessories to simulate him using his superpowers. He will be standing on a fire-themed figure stand with Ghost Rider nameplate and the Agents of S.H.I.E.L.D. logo. – Authentic and detailed likeness of Ghost Rider in the Marvel Television Series Agents of S.H.I.E.L.D.